A sentimental journey through years and modes of transport, encompassing the terminals, harbours, stations and halts, of this historic region. 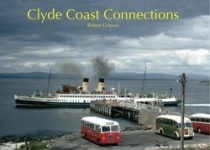 Covering a period from the mid-19th century to modern times this is a book for transport and history buffs alike. A real joy.